The delightful market town of Thornbury has a great team with a history that dates back some 30 years. 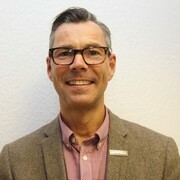 The team is headed by Andy How who has worked for the company since 1986, and has been at the Thornbury branch since 1999. Andy is ably assisted by Ann Arnie, Adam Offer and Allison Firks-Matthews. With a customer service rating of over 90% versus the industry average of 76% why would you go anywhere else to buy or sell your home in Thornbury? Our ratings speak for themselves! 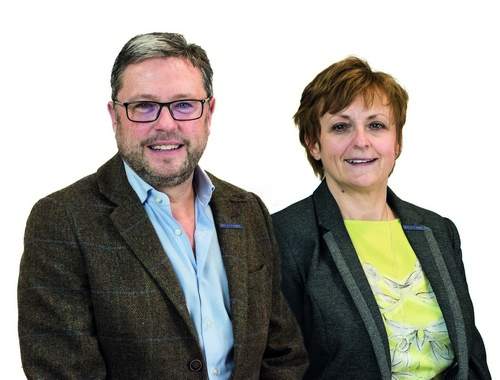 Our Team at Hunters Estate Agents and Letting Agents Thornbury has a combined experience of over 90 years in the Estate Agency business in Bristol. Indeed, Andrew How, our manager here at Hunters Thornbury, has worked in the area for nearly 20 years now – making Hunters Estate Agents and Letting Agents Thornbury your first choice for all your property needs. Andrew – we want to express our sincere thanks and gratitude for all your help and support selling our home. Without you and your teams help, enthusiasm and energy the sale would not have happened… a very BIG THANK YOU. Andy and team – Thanks for all the help advice and support with the sale of our home in Alveston – you were great! Andy a simple thanks you does not seem enough but thanks you for all you did in our purchase and subsequent let of our new home in Falfield – you did good! Our team here at Hunters Thornbury comprises Andrew How, Ann Arney, Adam Offer and Alli Matthews. All our team live within easy access to the branch and love the market town and all the local villages surrounding Thornbury, including Alveston, Olveston, Almondsbury, Falfield, Tytherington. Rudgeway, Tockington, Pilning, Severn Beach, Aust, Elberton, Oldbury, Stone, Rockhampton, Cromhall and Milbury Heath. Andrew has been an Estate Agent in Bristol for nearly 30 years with 20 of those years in Thornbury. Andrew loves the diversity of homes in the area from small one bedroom apartments to large country houses in the villages bordering Thornbury. Andrew is a local expert when it comes to valuing homes and has great experience in New Builds, Land sales, Auction sales as well as residential sales and lettings. Ann has been an estate agent for some 5 years now and was formerly a publican in the area. Ann is well experienced in valuing homes in the Thornbury area but her true love is for carrying out viewings and putting sales together. Ann is a true natural when it comes to matching buyers to homes and she’s good at it! Adam has been an estate agent since 1979 when he started with Besley Hill Estate Agents in North Bristol. Adam offers branch support to the team and can often be seen in and around the branch assisting on valuations, new home sales, dealing with enquires, making valuation appointments and carrying out viewings if Ann doesn’t get to the customer first! Alli is our branch administrator and does all the behind scenes stuff we all take for granted. Alli makes sure the team is well supported and all the bills are paid! Alli started for the company back in 1986 and has had a number of roles in the company from Saturday support to negotiator – so there is nothing she does not know. Andrew and Adam combined have been involved in new build properties in the area for clients such as David Wilson, Barratt, Bloor Homes, Newland Homes, Crest Nicholson and Eden Stone plus an array of smaller more bespoke developments. We offer clients of developers part exchange valuations and assisted home sale schemes. To see our Hunters Magazine Click here! Click to view preferred suppliers for Hunters Thornbury. I have been an estate agent for over 30 years and have managed the Thornbury branch of Hunters (previously Besley Hill) for the past 18 years. Accordingly, I not only have a track record of successfully selling all types and styles of property in the area, but have gained a great knowledge of the local market and have a depth of experience when it comes to handling every type of situation. 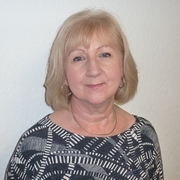 Ann recently joined the Thornbury team from our Chipping Sodbury branch. Ann is a local lady and knows South Gloucestershire and has many local connections, Ann is very hard working, conciencious and driven. Thornbury is a thriving Market Town in South Gloucestershire located about 12 miles north of Bristol close to the M5/M4/M32/M48 junctions at nearby Almondsbury. This makes Thornbury ideally suited to the commuter who needs easy access to the motorway network. In 2011 the national census recorded a population of 12,063 and is growing thanks in part to development on the outskirts of town, and thanks to the first class schools in the area. There is a very busy High Street, a shopping centre, two supermarkets and many smaller shops. The town has numerous places of worship, with many pubs, coffee shops and independent restaurants. We are fortunate enough to enjoy an excellent choice of very well regarded schools as mentioned earlier including the high achieving “Castle” Comprehensive School which has a popular sixth form. There is a great deal of open space and beautiful countryside surrounding Thornbury. The local Mundy Playing Fields were donated to Thornbury by Mrs Violet Mundy in 1937 and feature a children's play area and sports ground. Nearby is the Thornbury golf club, a leisure centre and skate park. Furthermore, Thornbury has a football club and successful rugby club. For active families that enjoy hobbies, there are various clubs that include great musical and drama groups performing in Thornbury. The largest venues are the Armstrong Hall near the town centre, seating 350, and the adjacent Cossham Hall, seating 140. Performances also take place in church halls and occasionally at the nearby leisure centre with its Gym, Pool, Squash and Tennis Courts and a huge array of fitness and wellbeing classes. The town is not short of historical interest including Thornbury Castle, a Tudor landmark which stands adjacent to St Mary’s Church. It was originally constructed as a home for Edward Stafford, 3rd Duke of Buckingham. Cardinal Wolsey had the Duke beheaded for treason in 1521, after which the castle was confiscated by King Henry VIII, who himself stayed there for ten days in 1535 with his mistress and then wife Anne Boleyn. The castle fell into disrepair after the English Civil War, but was renovated in 1824 by the Howard Family. It now serves as a world renowned 27-room luxury hotel and restaurant standing in beautiful grounds with haunting ruins within the gardens.